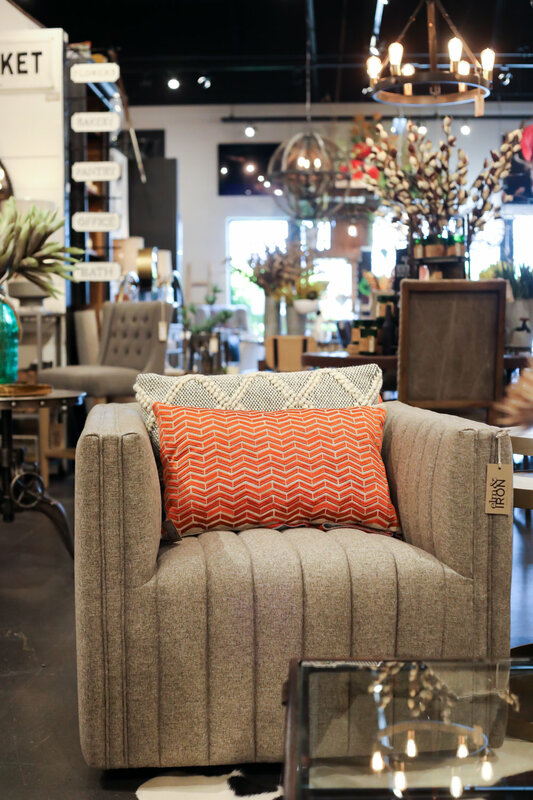 The Greyson Augustine Swivel Chair might be a new favorite of ours. This modern update on a classic library chair provides texture and comfort. Pictured below is the Orly Natural color option, however, it also comes in a beautiful Sapphire Navy. Local Delivery or pick up options available. Please contact our Easton store at, (614) 428-1230 or email us at, elmandiron@gmail.com. Want to see more items that are too good to pass up at elm & IRON? Then check out the blog post featuring, 5 Accent items to freshen up your home. After a long and cold winter, we are always ready for Spring. We are ready to put away the winter decor and bring in something fresh for all of you. Here are five accent items at elm & IRON that will freshen up your space for spring. Whether you are looking to spruce up a room or provide your space with better light, light fixtures can complement your unique sense of style. Sometimes it is okay to think unconventional when it comes to light fixtures, go bold, go classy, just find a light fixture that works for you. We understand that it can be hard at times to visualize what light fixtures would be best in your space. So we provided a list of our top 7 accent lights that we think are just too hard to beat.